I recently watched an interview with Malcolm Gladwell, author of Outliers. His book sits unread on my shelf, but, inspired by what I saw in the interview, I am hoping to get to it soon. This caused me to consider where we are going with this idea of the connected educator. A number of education thought leaders have been promoting the idea of connected educators and professional learning networks for years, and although more educators have taken up the cause, we have not yet bowled over the profession with connectedness. The keystone of connectedness is shared learning through collaboration. Collectively we learn and achieve more than we do in isolation. This has been true forever, but the factor that has moved collaboration to the forefront is technology. Today’s technological tools for collaboration now enable it globally, timelessly, and virtually endlessly. The key factor in good and effective collaboration is connecting with right sources. On Twitter who you follow is always more important than who follows you. It is all about connecting with those who have the most to offer. 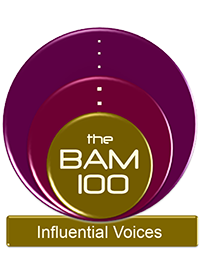 According to Gladwell in his interview he cited research indicating that it takes about 10,000 hours of practice to master a skill or profession. In education terms that would be a teacher with a career of ten years, or an Administrator who was so for ten years. Connecting with educators with that amount of experience in large numbers and in specific academic areas is not easy in many schools. On the Internet however, these connections are more easily obtained. Contact with experts in education is also made more easily through Social Media. Before Twitter I met a handful of authors at book signings or keynoting at conferences. Today, I contact, and converse with many education authors on a daily basis. There is something to be said for the number of authors created as a result of social media connectedness. Twitter is micro blogging. 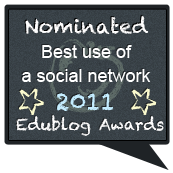 Many educators Tweet for a while before they find a need, and ability to blog in real terms. That step exposes them to their profession in a way that validates their efforts, ideas, and philosophy, which leads them to authoring a book. This exact path has been taken by at least two dozen of my educator connections. Many of these educators have been elevated, by their followers, and fellow educators, to the “rank” of education thought leader. With all of this positive connectedness, one would expect that all educators would be jumping on board to connect their own collaboration cars to the train. Well, I have been an actively connected educator since about 2007, and I am still waiting for that fully loaded train to leave the station. Adam Bellow recently asked me if I could estimate how many educators were actively connected. I told him that that would be difficult number to figure out, but I would try. There are millions of people on Twitter, but we were only concerned with the actively participating educators. 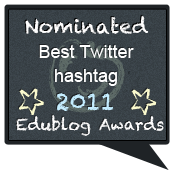 I looked at two areas where educators hang, Education Ning Communities, and Twitter. I used membership numbers on Nings and Follow numbers on Twitter. The largest Education Ning communities do not exceed 75,000 members, and many educators belong to multiple Ning communities. When it comes to educators following educators, I considered the followers of leading education thought leaders, and not celebrities. Sir Ken Robinson for example is a celebrity followed by more than just educators, but even he only has 186,000 followers. 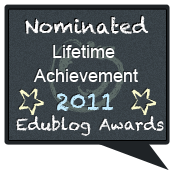 Of the education thought leaders followed by most educators, I could find none exceeding 70,000. That would lead me to believe that actively connected educators would range between 200-300,000 educators. That is but a calculated guess. The part that really concerns me and led me to my original question is the estimates of total American educators. I looked at the last census numbers for educators and came up with a number of 7.2 Million. I have read posts that claimed 11 million to be an accurate number for education employees. The definition of educator might account for this disparity. Even with the most conservative numbers in those estimates, I struggle to understand why only 300,000 educators of 7.2 million would choose to be connected. Are the education thought leaders of the Twitterati really undiscovered progressive leaders of education, or outliers to be overlooked and ignored by the data readers who are determining the pathway for education today? Who is determining that pathway? Could it be that the media that we as educators have chosen to voice our ideas and concerns is a media not yet discovered by our colleagues? Could the relevance we count on in the 21st century be dependent on a technology not yet accepted by the very people we depend on to support relevance in teaching and learning? Should we have Administrators mandate compliance? Who will mandate compliance from the Administrators? The idea of connectedness and collaboration should be a topic discussed in every school in this country and beyond. It is of global interest to connect educators. If we want to educate our kids, we need to first educate our educators, and that must be an ongoing process in our ever-changing, tech driven society. Life long learning is not just a goal for kids in school. It should be a goal for everyone. Tom – I really love this post. Just wanted you to know that the Outliers is well worth the time it takes to read it. I find the 10,000 hours presented in the book useful in many areas. Tom, I often get comments on my blog from pre service teachers in Alabama. It seems their professor assigns educational blog reading, commenting and writing as part of his course. How refreshing and relevant! I’d like to see ‘becoming a connected educator’ as part of every teacher training course. Great comment, that professor is doing it right!. 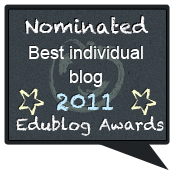 I love that the pre-service teachers are required to comment to educational blogs – that is where the magic happens. Those new teachers are getting an introduction to the importance of being a connected educator. Like Judie, urge you to read Gladwell’s Outliers. The chapter or section dedicated to the study of airline pilots and related plane crashes is particularly timely. Beyond that, I agree with so much of what you say about educator connectedness, their readership of blogs, and their participation in social media as professional learning…or rather should I say their lack of connectedness, readership, and participation…. Great post Tom! I haven’t had the opportunity to read Outliers, but I’ve only heard good things about it. I’ve read “The Tipping Point” and loved it, would definitely recommend it to anyone who is a fan of Gladwell. One of the important principles I have discovered is that popularity is a terrible indicator of quality. It isn’t even reliably unreliable, sometimes it helps to know that 500,000 people are following something, vs. 18 and sometimes it doesn’t help at all. Popular taste isn’t fine grained enough to make good decisions regarding information quality, even among people who are very similar in various ways and share interests and objectives. We often don’t share attention and cognitive styles and habits of thought, and that makes a difference in who and what we devote our precious time and attention to in a forum. Further, most social networking is implicitly based on filtering by popularity. It may not be suitable for some purposes to take that default. I agree strongly with the value of connecting with people. I disagree somewhat on Twitter, which I find a matter of preference. The rapid turnover and brief messages suit some people much better than others. I find it incredibly frustrating and thoroughly mismatched to my cognitive habits to be trying to keep up with soundbites and links to blogs. My attention gets chopped up and thrown around like a rag doll in a Cuisinart. I can structure my reading and conversations with other people far better in other kinds of forums where there is more room for maintaining a distinct thread over time, reflecting on it, and building on it. Personally I find that possible but not worth the effort to do with Twitter. Does that make sense? Is it plausible that some people avoid Twitter not because they are avoiding social media but because Twitter suits some people better than others? I don’t know how true that might be of educators but I suspect those with attention, dispositions, and habits like me have some sense of what I mean. I often find that I agree wholeheartedly with your posts, until you start sometimes making the assumption that connecting with people online means Twitter. Then I start to lose you. How does the quality of learning seem on Ning vs. Twitter for those who use the sort of service they prefer? That’s more important to me than purely how many people are doing it. Todd – I think you are pointing out a very important point about social media and connection. Some platforms suit people better than others for a variety of reasons. I am more of a facebook fan because political and other groups (pages) lured me in. Now, I am kind of an embedded member of the groups. My experience with twitter was to participate in some twitter blasts (for example, boycott Starbucks for the Brady Campaign and contact Bill Gates today about high-stakes testing). I follow some educators on twitter, but I became tired of it. What I’m finding more often with social media is that there are “waves” of connections, like the teacher’s group mentioned above. More than 3,000 joined on facebook this weekend. People were up late talking and sharing with one another. Something might come of the new group, at least, a social force to contact education leaders. Instead of numbers, perhaps social media enables a force of collaborators to connect, even for a short time, to effect change. Strong point Todd. George Will, a highly regarded political writer and television commentator was asked once why he doesn’t use Twitter. He replied that he doesn’t think in 140 character chunks. If we are looking to reasons why more educators are not becoming “connected educators” look no further than the “lock and block” mentality towards all types of social media that permeates school district upper management\administration and hence district CIO ranks in this country. There are progressive pockets of movement forward in this regard, but those are the exceptions rather than the rule. I think your key phrase is “If we want to educate our kids, we need to first educate our educators, and that must be an ongoing process in our ever-changing, tech driven society. ” Educators don’t know what they don’t know. My suggestion: Make teacher meetings into workshops – only about planning, PD, or analysis of student work. At the end of every workshop, give teachers links to educator PLNs along with time to explore. 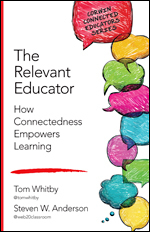 Tom, I believe you introduced a very strong argument for why teachers should be connected. I just wonder if the biggest problem is that most connected educator are not demonstrating or modeling enough of the benefits to convience their peers to join in. One reason why I believe there are fewer Twitter-connected educators than there perhaps should be is the negative associations many adults have with Twitter. For many teachers, all they know about Twitter is that high school students tend to distract themselves with it, talk @$!% on it, etc. They don’t know how helpful it can be as a curation tool or to connect with other like-minded educators. Great thoughts here Tom. It’s a mystery to me why there are not more connected educators. Get that Gladwell book off the shelf and get it read – great book! I just started his book Blink, which seems to be more about the power of intuition and I think it also points to some of the Twitter taboo. Some of us instinctively looked at Twitter and had an ah-ha moment of clarity while others still approach the entire concept of networking with a modicum of fear. I don’t think it’s generational either as there are probably hundreds of thousands of young teachers who are still not harnessing the power of the PLN. How do we change this is the real question. It has to come from thought leaders in institutions of knowledge and administrators pushing for growth in my humble opinion. In our district, checking gmail seems to be an optional activity. So, many teachers remain in the dark about things. 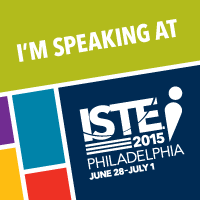 I would like to offer motivation for teachers to use gmail, such as mozilla badges. I’m looking in to it! I agree. 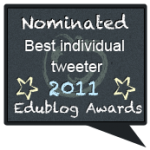 As a connected educator, I find it frustrating to try to convince my peers to use Twitter as a learning resource. It is even more frustrating to desire to use what I’ve learned about problem based learning, flipped classroom, and blended learning, but am stifled by old school thinking of colleagues and administration. Everything I have learned about these topics began with reading a tweet and then conducting more research on my own. Many times, one article leads to another and another. Before I became an active Twitter user, I had never heard of the flipped classroom, problem based learning, nor blended learning, even though I have attended all required professional development in my district. I am ready to charge ahead with education reform, but my district and colleagues are weighing me down. Thank you for your blog. I often wonder the same thing as to why there is not the engagement with Twitter and other such social networking mediums. From my experience, teachers are often unwilling to connect with perceived strangers unless they feel there is something clear to be gained from it. For many they see it as ‘more work’, while for others the entry of new and better ideas is confronted with ‘that’s not what we do here’. For some, teaching is about the now, about responding to the students sitting in front of them, not about scrolling through endless feeds and resources to find what someone else may perceive is the new best thing etc … I think that this extends to a lot of technology. Ironically, for many of these teachers, if a school coach came in and told them about the ‘new best thing’ then they are less hostile and often willing to take up such ideas. I like Aaron’s comment above, I think it underscores a tension lots of teachers and leaders feel – the need to respond to the demands of the moment and not having the extra time to invest in belonging to an online community. I certainly do not think it’s a question of lack of commitment; I do think the act of collaborating in an online medium is, simply put, an enormous cultural shift. Like any cultural shift, the majority remains on the outskirts of the “movement” afoot – often, the advances made by the “movement” become the norm over the course of many years. I think we are some years away (5? 10?) from “connected educators” being the rule, rather than the exception. I’m a good example – some of my closest colleagues have been using Twitter as a part of their professional growth for years, and I only became active this past school year (I appreciate their patience with me, though sometimes I think they should have been pushier). My “Tipping Point” (to reference Gladwell!) was to actually start writing some Tweets, finding quality people to follow, and using my blog as a way to participate in the global conversation. Before that, I truly did not see the value in doing it; now, I am an unabashed (though polite) social media evangelist. The key fear people have is how to manage the volume of communications that something like Twitter throws at you. I think all of us that use social media to be a part of a broader professional community need to make it our responsibility to encourage (coach?) our colleagues to try different platforms – maybe they resonate with a platform we haven’t tried yet, which means we need to expand our own circle of comfort and join them! Two theories might help to explain why only a fraction of “educators” are connected and engaged online. 2. Amara’s Law posits that we tend to *overestimate” the impact of new technology in the short run and “underestimate” it in the long run. This phenomenon is very familiar to entrepreneurs. Consider Amazon. In retrospect we can see that the notion of shopping online was a great one way back mid 90’s when Amazon first launched. But online shopping didn’t immediately take off and Amazon languished for several years. During the early years, the pundits regularly predicted Amazon’s demise based on its failure to quickly get traction with consumers or turn a profit. Now some 15 plus years later, online shopping has been embraced by the masses, Amazon is insanely profitable and has driven many companies like Circuit City and Borders Books out of business. But this took over a decade! Bottom line: Twitter, PLNs, social media are all still very much in the early stages of adoption. I would submit that additional barriers to adoption by educators includes the “Kim Kardasian effect.” ( The general public perception that Twitter is primarily for mindless, inane and superficial communication) Another barrier to adoption peculiar to educators is the “new thing” fatigue factor. To many, Twitter may sound like just another bandwagon that educators will jump on today and jump off of tomorrow. Finally, as you well know, change in the education community has historically occurred at a glacial pace. Combine these factors and the pace of adoption we have seen among educators begins to look better than par for the course. In my experience there are too many teachers who just don’t want to learn anything new. This may happen for a variety of reasons, but the results are the same. Their classrooms become stagnant places and in today’s digital world it is their students who will be left behind. Social media and connectedness is not going away. Administrators must model effective use of social media and technology with teachers so it becomes part of the norm. As Tom said, “Life long learning is not just a goal for kids in school. 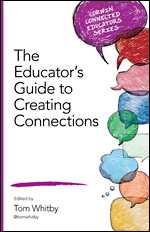 It should be a goal for everyone.” Social media connects us to other educators, authors and leaders in a way never possible before. Teachers who don’t seize this opportunity are missing out. Coming back to this post after Twitter released numbers last spring, I wonder if you’d adjust your numbers. Last spring Edsurge posted that .8% of all their tweets are ed related. That’s 4 million of 500,000,000. While EdSurge is saying this is a victory, it sounds like a horrible wake-up call to me. While we are all in a social media bubble, I wonder if you aren’t trying to be just a little more optimistic in saying 400,000 of 4 million educators use social media for education purposes. I think the number, if we include FB, Google+, and Twitter might turn out to be something like 75,000- 100,000. What do you think? There is no way I can think of to get an accurate count of educators on Social Media. Even if we could get one, how would refine that number for those educators using SM for connected learning. The total number of education tweets, even if it was 8 million could be the result of a small number of active and very prolific education Tweeters. Education Chats alone might account for a multitude of those tweets. 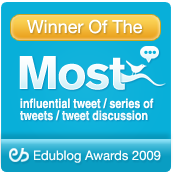 those educators on Twitter tend to tweet frequently. I think we need to take into account the Twitter followings of a number of education thought leaders. We can also look at the membership numbers of the leading Education Ning sites as an indicator. We also need to consider that many connected educators are on multiple social media platforms. All of this being considered, I do not think an estimate of 4-500K is overly optimistic, but it is definitely optimistic. My concern is that it is a drop in the bucket when compared to what it could be in order to promote real change in education through collaborative and connected learning. Wev need to work to get more colleagues connected if not for anything else but their own relevance. Thanks again for your wisdom, Tom. I’m concerned as well. Mostly because with all the tweeting, sharing, and chatting we’re doing- it’s not having an affect that I personally would have hoped after 7 years of sharing this way. One thing- you’re saying: 7 million teachers, but the numbers I got from ed.gov say 3.7 million FTE teachers. Are you including subs and assistants in that number? If that’s census, that must include retirees, and others in education. Anyhow- thanks again. Not trying to be grumpy, but realistic.